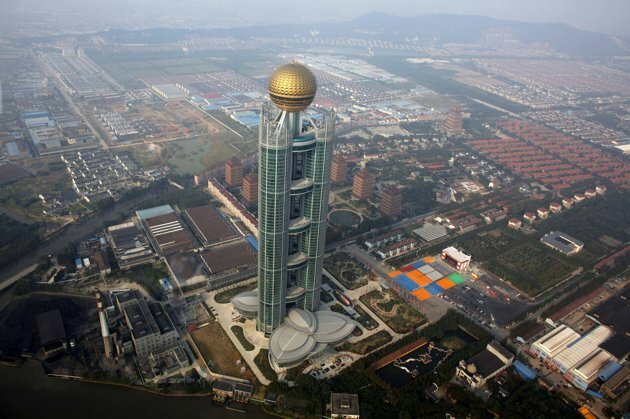 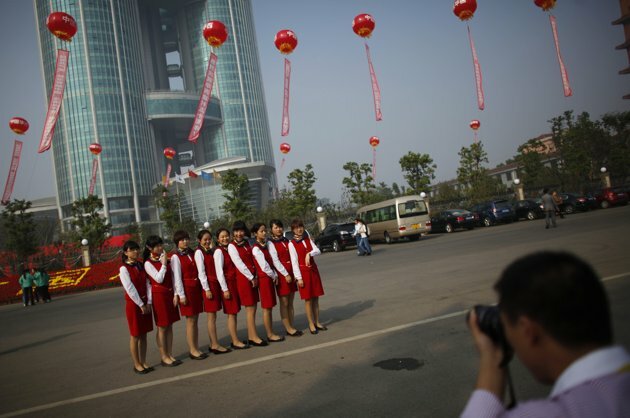 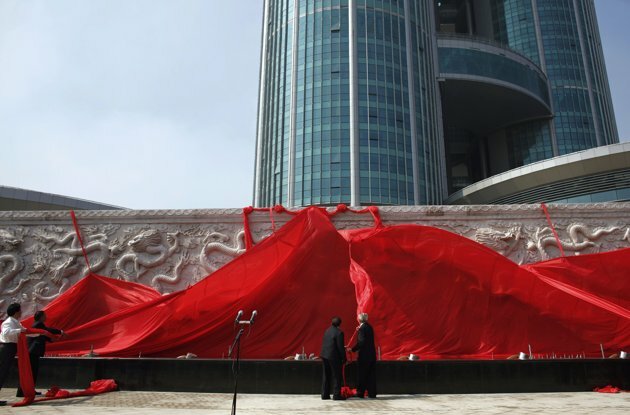 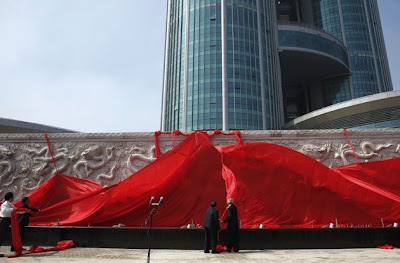 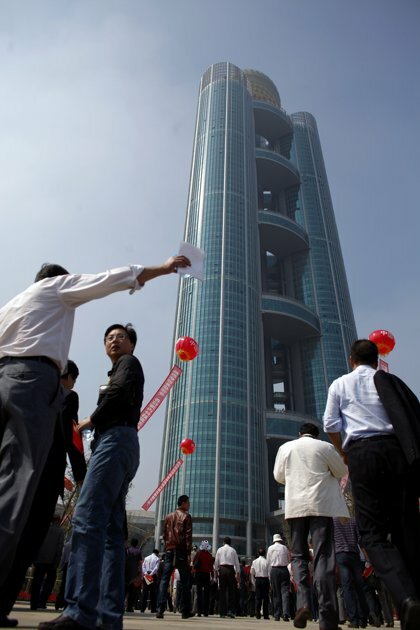 Huaxi village, also known as China's richest village, celebrates its 50th anniversary with the inauguration of a massive 1,076 feet high skyscraper that screams for attention from its lowly skyline. 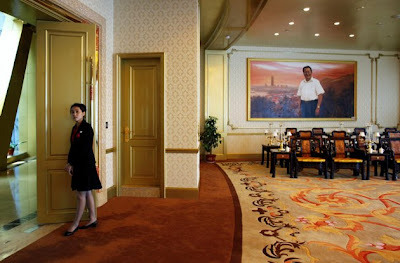 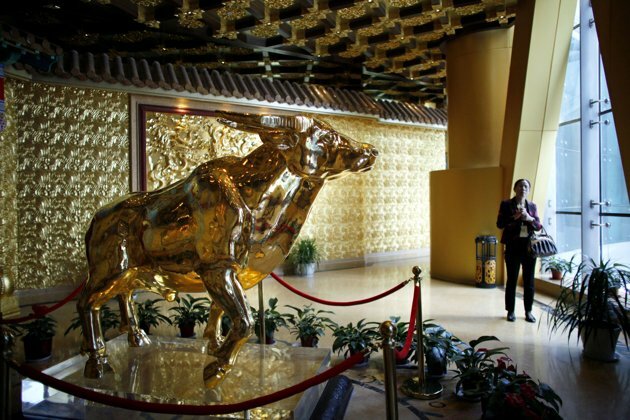 A solid gold bull weighing a tonne also greets visitors at a viewing area on the 60th-floor of the tower, a testament to the wealth of the village. 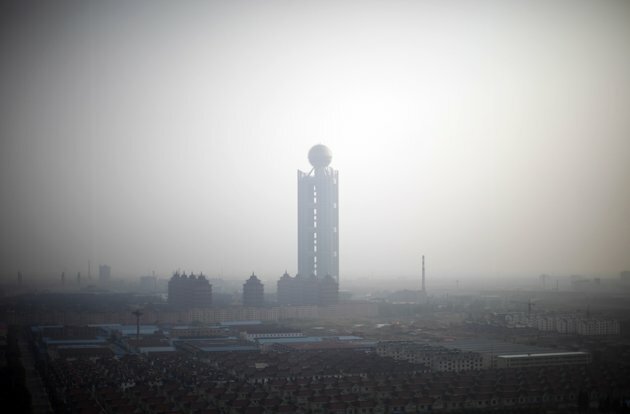 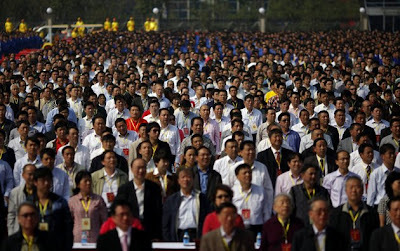 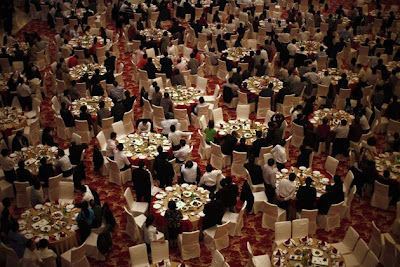 In Huaxi, those from the original 2,000 residents have at least a house, a car, and $250,000 in the bank and enjoy universal health care and free education. 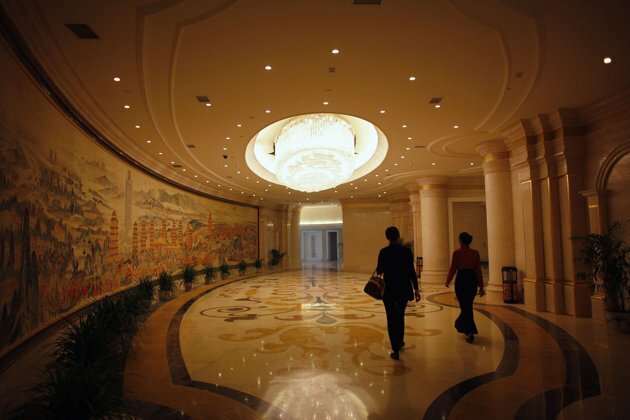 Officials from elsewhere in China tour Huaxi to find out how this once sleepy village, with just 576 residents in the 1950s, is now so rich and why non-local businessmen would donate million-dollar factories to buy the privilege of a local residence permit.